HomeBlogPaid SearchClick Consult reviews Google’s ad extensions – what, why and when? Click Consult reviews Google’s ad extensions – what, why and when? Google’s PPC offering changes with a degree of regularity these days, with alterations to SERPs, as well as the permitted ad copy and headline length being the most recent, but there is a simple paid search feature which can confuse newcomers – and that is the ad extension. As is discussed in our new Beginner’s Guide to AdRank, the make-up of an ad can be as important as its content insofar as calculating its quality for ranking in the paid positions on SERPs, so it’s vital for businesses to be aware of what the options are and when to use them. 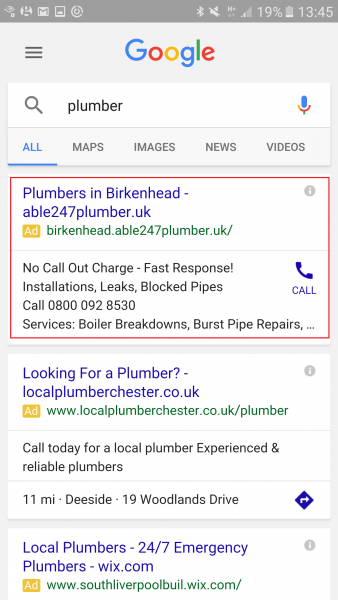 The most common of these enhancements range from the addition of ‘call’ buttons for mobile, to location extensions to sitelinks (where additional site sub-pages are listed). 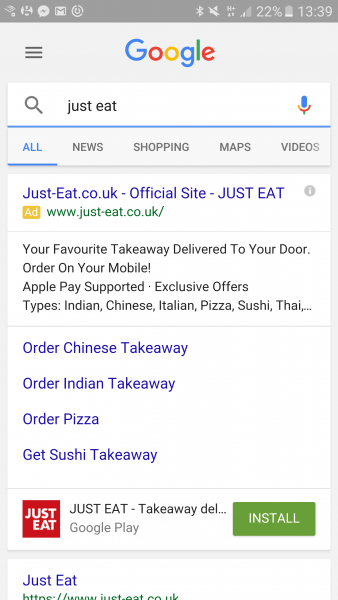 Google sees these extensions as providing useful additional information which can be used to help consumers determine whether or not the ad is of use to them, and so rewards them as indicators of ad quality. The differences between manual and automated extensions are essentially in the names of the two types. Manual extensions require the ad-buyer to set them up and, while there are no associated costs, manual extensions are more likely to be shown to consumers and therefore necessary to drive clicks (or your metric of choice) with your ad. Automated ads, alternatively, are automatically shown to consumers when AdWords predicts they will make the most impact – though obviously useful, they should not be relied upon as a substitute for the correct implementation of manual extensions. For brands with an app available for download, the app extension places a download link (either beginning the download or redirecting to the app store). Facilitating the consumer in contacting you, call extensions allow you to place a shortcut button initiating a call with your brand. This extension provides potential consumers with directions to your physical premises – making it even easier for walk in traffic to find you. Your current consumers love your brand, so let prospective consumers know too with a review extension – though you cannot use Feefo/Trust Pilot etc. These offer the consumer something extra – with alternatives to the main link providing similar pages or pages with additional information. Callout extensions are your chance to let consumers know what you have to offer – special selling points for your brand, or reasons to purchase from you ahead of the competition. This extension allows potential consumers to see your brand’s ratings from past consumers, so that they can judge your business from your past performance in various areas with others. Has the consumer visited previously? Maybe they need a little reminder of the times you’ve shared together – for this reason there is the previous visits extension. In addition to the main headline of the ad, dynamic structured snippets automatically show additional landing page details alongside your ad. Similarly to the ‘consumer ratings’ extension, the seller rating offers the potential consumer a view of previous consumer’s experiences with your brand – only this time in the form of a star rating. If you want more resources and information on PPC, why not visit our resources page – or contact us today to see how we can help with your PPC endeavours.